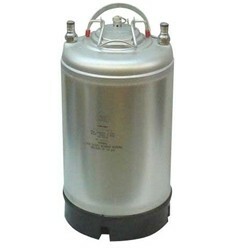 New Ball Lock Keg- 2.5 Gallon - Single Metal Handle Top - Texas Brewing Inc. Soda kegs are perfect for kegging your homebrew. Easy to use, easy to clean. These kegs are brand new and in perfect condition.